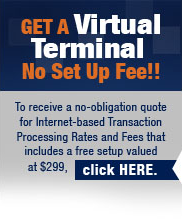 Veritrans offers a full range of standalone EMV® (chip card) capable credit card processing terminals to meet the unique needs of retailers, restaurants, and other industries. All of our currently available terminals allow you to securely accept all EMV® and magstripe major credit cards and debit cards. Protect your business and the credit cards of your customers by ensuring you have PCI compliant terminals that can read the Chip Cards. Veritrans takes great pride in our commitment to partnering with you for your success.